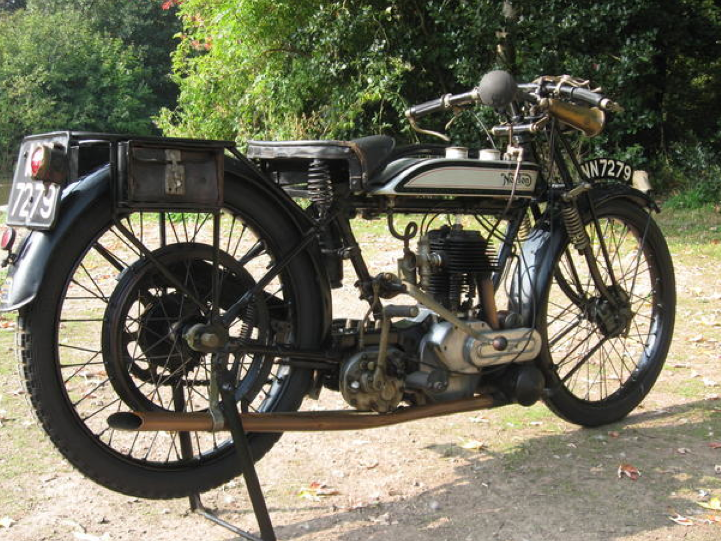 In the catalogue of Bonham's 2014 Autumn Stafford sale; a 1924 Model 16H Norton. "In single family ownership for 50 years. Registration no. NN 7279. Frame no. 12160. Engine no. 9623"
-SG- This looks vastly better than most of the stuff usually on offer. 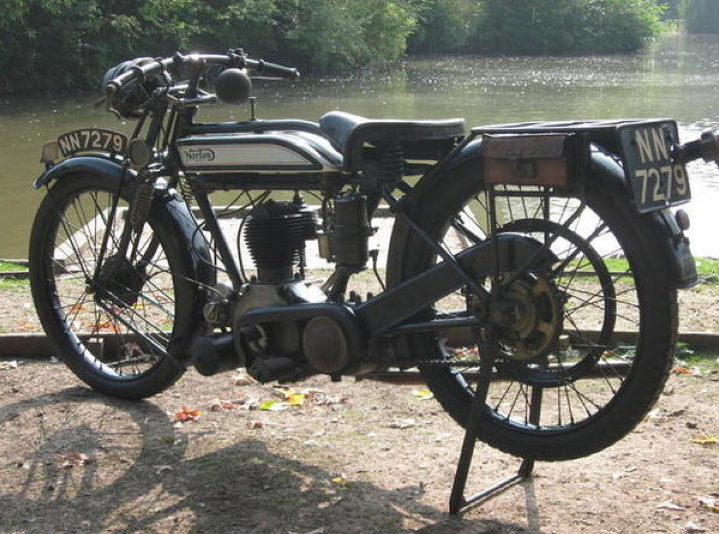 The only things I could see to pick up on are the magneto - a Vintage BTH is fitted instead of the usual ML - the carburetter - a '30's Amal is fitted in place of the usual B and B or Amac - and the saddle, which nice though it is, is a bit later than '24. Particularly worthy of mention - the handlebar controls all look, if not original, then certainly 'period.' Engine and frame number match according to the records and it was shipped out 12/4/24 to a dealer called J. Reid. Don't know where he was located. No customer details are shown - such information does not appear in the records at this period.